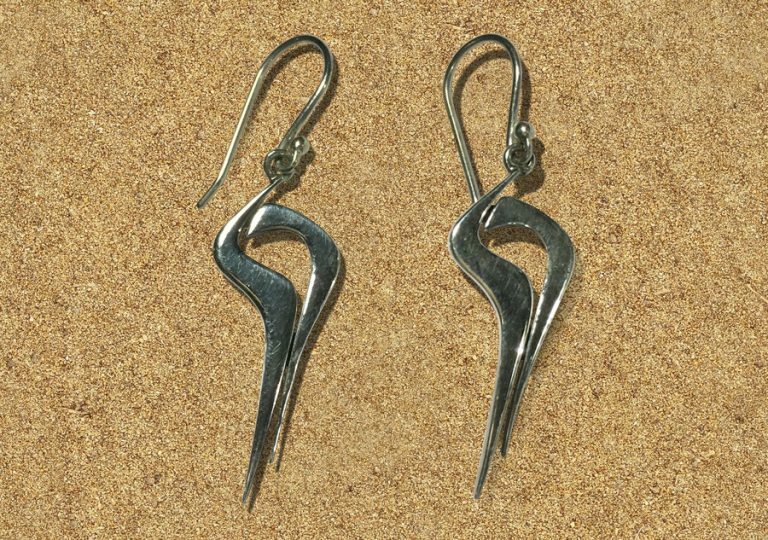 These earrings represent a conch, the most ancient wind instrument known to man. 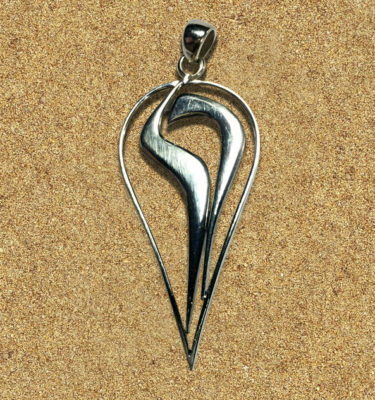 According to mythology, this gift from the great ocean-churning is considered to be a very sacred symbol. Most pictures of Indian Gods and Goddesses are seen holding the conch in their hands. The spiral form is symbolic of the human journey through Life which the shell’s hard casing protects. When blown, the conch produces the sacred sound, ‘Om’. It symbolises music tuned with cosmic energy and a call to open up one’s soul. This jewel is handmade with Love, Devotion and Passion. For you to feel the Bliss, for you to spread the Light. ‘Shanqa’ souvenir is not just another shop: choose a product and choose its price. By purchasing our products, you contribute to expanding our mission. Any benefit arisen from the sale of our products will be used for the operating of Shanqa’s activities only. 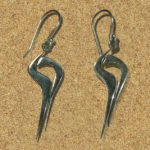 Height: 42mm (with hooks); 30mm (without hooks). Silver 975 (whiter than usual silver).